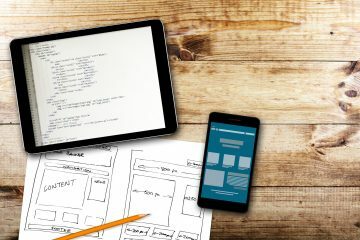 Developing a mobile app is more than just the product, this article has tips on what to always consider when developing a successful mobile app. As of 2017, both Google Play and Apple App stores had a total of over 4.2 million apps. The tremendous increase in mobile users has fueled this significant number of apps. This growth has given a positive outlook to many developers who are eager to have their apps out there. Unfortunately, most new developers get the whole thing wrong. Developing a mobile app is not just all about getting as many downloads as possible. There are several issues to consider, such as marketing, taxes, finances, and managing teams. Read on to learn more about the essential things to consider before building your own app. Today, developers have gotten creative, and they can create an app for just about anything. But before you design your new app, you may want to invest time in researching and learning your target audience. This involves knowing their interests, requirements, goals, and their preferred technologies. The most effective way to do this is determining the platform they use and how they use them. As such, it will be easier to understand their experience and formulate exciting ways to improve it. If you target audience exists, it means there is competition. The good thing is that this validates your idea. Your only goal is to focus on making your product stand out in the race. Are there apps like yours out there or a business with a model like yours? You want to know if there are apps that promise to solve a similar problem. If there are any, take the time to review their performance in the app stores. Read their user reviews to determine what’s working and not working for them. You don’t have to confine your research to direct competitors. Find business models like yours and see how it’s working for them. Ideally, if you’re developing a mobile app that offers on-demand services, you should look at apps, such as Postmates, Soothe, Uber, and Heal, for best practices. The more you learn about your competitors and their business models, the easier it will be for you to get creative about your own app. In a perfect world, you’ll launch your app on both iOS and Android at the same time. But, you can’t take that path at the moment if you want to grow your app. Instead, you need to choose which platform to launch on first. Android boasts the best platform for app adoption and retention. However, if you want to earn better revenue from your app through in-app purchases or paid apps, then you want to consider iOS. This is because iOS has a potentially wealthier reach than Android. Needless to say, you can choose to develop your app on both of these platforms. However, this will extend your development time and costs. Just because you and your friends love the app doesn’t mean all your potential users will fall for it. It helps to have an experience of how real users see your app. A user testing group can provide ideas on how to improve the app or what to remove. This is simply a discovery process, which provides you value to enhance your app’s user experience. It will help you determine if users really need your app. One of the useful tools for iOS apps to use is TestFlight. If the app is not solving the intended problem, then it will add no value, and this will undoubtedly lead to regrets. Apart from having beta users, it’s also helpful to test your technical performance, including your load and network testing. This can be performed manually, or you can use a tool like AppPurify to speed through the testing phase. Most new apps depend on organic acquisition to grow their user base. You can use paid user acquisition by using Facebook ads to market your new app. Pay per click (PPC) advertising and in-app ads are also great for marketing your app. 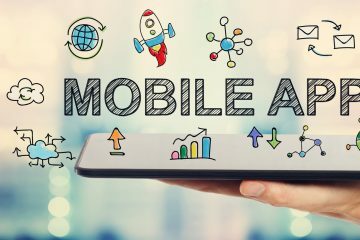 Mobile ads or in-app ads work well because they’re served to your potential audience. Most importantly, you have to give users a reason to download your app. If it’s subscription-based, you can offer a free trial for one to three months. Regarding organic acquisition, how you optimize your app listing really matters. The process is just like search engine optimization (SEO), and it involves using the right keywords to optimize your listing to improve your app’s rankings and make it more discoverable. Your app’s listing really matters if you want to boost your downloads. Make sure you have great screenshots of your app to prompt users to click the download button. Better reviews and ratings are also key things that users look at when downloading an app. You’re not just going to complete development of your app and upload it to the app store straight away. With the beta testing results, you have refined your app, created a marketing strategy, and are ready to take the market by storm. After developing a mobile app, it helps to know the right time to launch and monitor its initial performance. This period allows you prioritize and fix problems, such as crashes, bugs, errors, and network latency. Most users will quickly uninstall your app if they encounter issues that hurt the overall experience. Your initial success allows you to review the usage and interests of your audience. Use these insights to determine your ongoing performance and maintenance to ensure your audience stays engaged and satisfied. Analyze your retention rates to identify sources that deliver the most engaged users. Even after launching your app, continue to re-evaluate and optimize it to provide more value. Growing doesn’t stop when you finally hit your target number of downloads. Keep in mind that there’s also the churn rate. 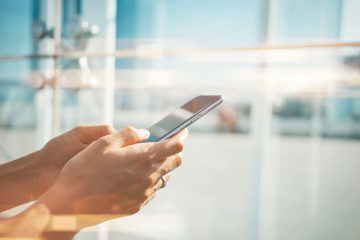 In today’s mobile world, there’s an “app” and an “APP.” If you want yours to penetrate the competitive market out there, taking these tips into account before developing a mobile app is critical. Users are drawn to things that give purpose, solve problems, and offer value. If you want to learn more about developing a great mobile app, be sure to follow our LinkedIn page for more information.